Arke Room Divider by Maxalto B&B Italia features a screen with three wings which purpose is to separate different areas within the same room and provide more intimate spaces. 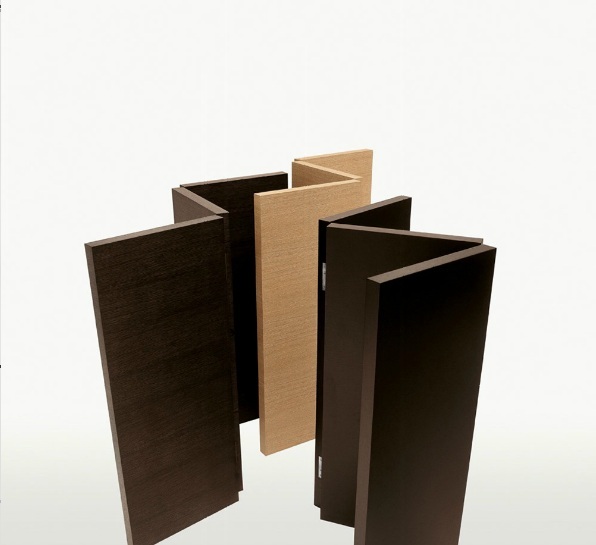 It is available in a range of finishes including brushed light or black oak, grey or brown oak, or glossy lacquered in four colours: desert, anthracite, grey acciaio or brown palude. 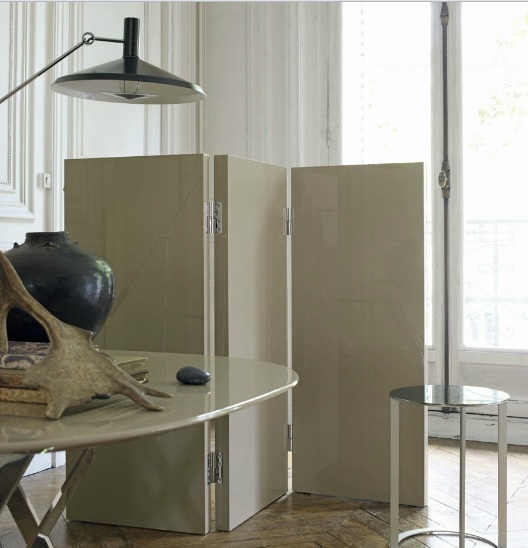 Next to it, a small multipurpose bridge-shaped table available in the same finishes.